Now fly the entire state of NSW with the release of north east and western regions separately available. 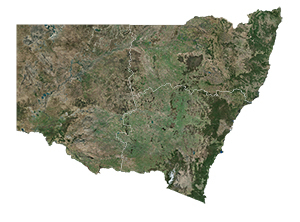 Fly the entire state - BORDER to BORDER - of New South Wales in photoreal detail in 1 meter per pixel resolution throughout. New South Wales is a massive sized state at 312,528 square miles and has 85 public airports. You get to fly over a variety of gorgeous scenery from the flat dry lands and salt lakes in the west, to the mountains of the Great Dividing Range in the east as well as the beaches and cliffs of the 1,328 miles of carefully etched Pacific Ocean coastline. You'll see everything that you see in New South Wales in real life in the scenery. The clarity of the imagery is stunning. The three NSW titles are available vis these links below. We've priced the areas based upon population densities so that our customers are not asked to pay $40 for each area. The links and prices are below.